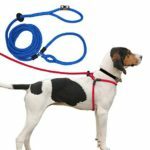 In a previous post the Harness Lead, a no-pull harness that places pressure behind a dog’s shoulders when he or she pulls on the leash, was reviewed. While this harness is great for every-day use, there are certain instances when it is not appropriate, such as travel and when your dog joins you for a run. For these situations, the KONG Comfort Control Grip Harness is preferred, which will be described here. The KONG Comfort Control Grip Harness is a harness that loops around the dog’s neck and has two attachment buckles around the dog’s chest, behind the front legs. There is also a padded handle affixed to the top of the harness that runs along the dog’s back for extra control. The harness is fully adjustable, and a medium-sized harness can be made to fit a dog with a 20’’ – 30’’ chest. The harness material is high-quality woven nylon. There are many advantages to the KONG Comfort Control Grip Harness. Perhaps the biggest advantage is that it is made by KONG, which means dog owners are assured of this product’s quality and durability. 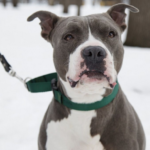 The attachment mechanism around the chest means that if one or both buckles were to come undone, your dog would still be restrained via the loop around his or her neck. The padded handle is useful during travel or in high-traffic situations when you require additional control. There are few limitations to this product. It is machine washable, which is useful for dogs that like to roll around on the ground during walks. The only disadvantage is that the harness has a tendency to loosen after a few wearings and therefore must be checked and tightened periodically. 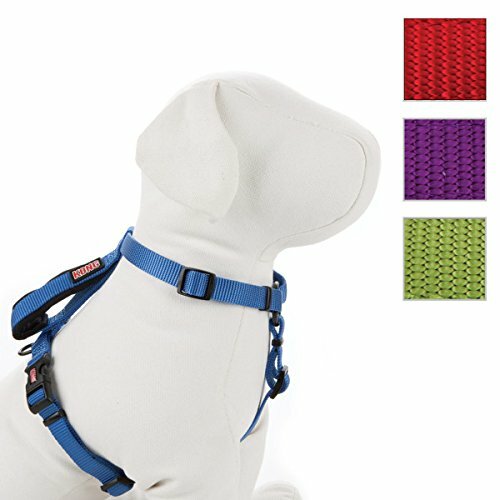 This harness is beneficial for dog owners who find they require extra control of their dog from time to time. The traffic handle is most useful in the car or during walks when one dog becomes reactive towards another person or animal. Additionally, the handle on the harness can be used to assist in picking up a stubborn dog when he or she becomes distracted. 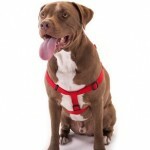 This harness is also great for dogs that frequently escape restraint. The dual looped design makes backing out of the harness much more difficult. 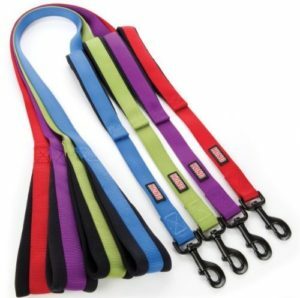 To match this particular harness model, KONG has also produced the KONG Traffic Handle Quick Control Leash. This leash has a padded, neoprene grip that is comfortable and eliminates the burn marks from other leash handles. This leash also has an elastic, shock absorbing mechanism that keeps your shoulder from feeling like it is going to be pulled out of its socket if your dog reaches the end of his or her leash too quickly. An additional traffic handle helps you quickly control your dog when needed. Ultimately, the KONG Comfort Control Grip Harness is a great product for anyone who is looking for an escape proof harness but does not want to use a product with a self-tightening mechanism. The matching leash is comfortable with a shock absorbing design, and both are highly recommended.